Here’s an alternative explanation to the Planet 9 hypothesis, the idea that a large undiscovered planet in the outer solar system is pulling on some small outer worlds, distorting their orbits. Artist’s concept of distant trans-Neptunian objects, moving in far-flung orbits around our sun. Some of their orbits are strange, and that strangeness has caused astronomers to search for another undiscovered, large planet in our solar system. Image via University of Cambridge. In early 2016, astronomers at Caltech announced evidence for another large planet in the outer solar system. They – and most professional astronomers – call this distant, unknown world Planet 9 (although some call it Planet X, in deference to those still smarting over the IAU’s 2006 decision to demote Pluto to dwarf planet status). The evidence for Planet 9 has always been indirect. It came from the strangely aligned orbits of small objects in the outer solar system. Since 2016, astronomers have searched for a Planet 9 (or Planet X) in the outer solar system, but, so far, they haven’t found one. 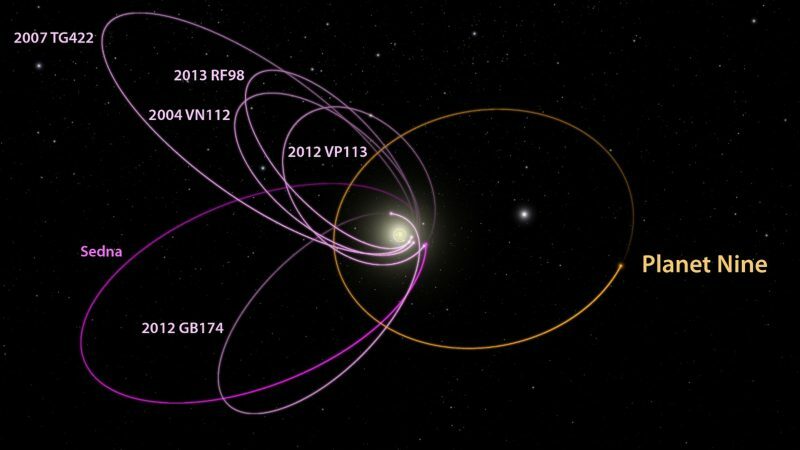 Now another group of astronomers says the strange orbits of outer solar system bodies can be explained without a Planet 9. In other words, maybe there’s no reason to suppose a Planet 9 exists. What’s going on here? Nothing more than the process of science. Science is, after all, primarily a process and a search for truth. … proposes a disk made up of small icy bodies with a combined mass as much as 10 times that of Earth. When combined with a simplified model of the solar system, the gravitational forces of the hypothesized disk can account for the unusual orbital architecture exhibited by some objects at the outer reaches of the solar system. 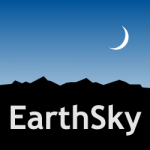 The new results are reported in the peer-reviewed Astronomical Journal. Illustration showing the hypothesized orbit of Planet 9 along with the known orbits of several trans-Neptunian objects (TNOs). Image via R. Hurt/JPL-Caltech. The Planet 9 hypothesis suggests that to account for the unusual orbits of these TNOs, there would have to be another planet … ‘shepherding’ the TNOs in the same direction through the combined effect of its gravity and that of the rest of the solar system. We wanted to see whether there could be another, less dramatic and perhaps more natural, cause for the unusual orbits we see in some TNOs. We thought, rather than allowing for a 9th planet, and then worry about its formation and unusual orbit, why not simply account for the gravity of small objects constituting a disk beyond the orbit of Neptune and see what it does for us? If you remove Planet 9 from the model and instead allow for lots of small objects scattered across a wide area, collective attractions between those objects could just as easily account for the eccentric orbits we see in some TNOs. 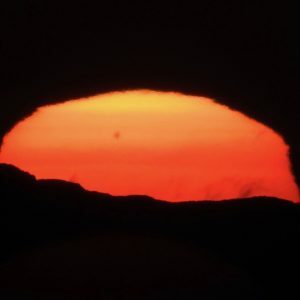 When observing other [solar] systems, we often study the disk surrounding the host star to infer the properties of any planets in orbit around it. The problem is when you’re observing the disk from inside the system, it’s almost impossible to see the whole thing at once. While we don’t have direct observational evidence for the disk, neither do we have it for Planet 9, which is why we’re investigating other possibilities. It’s also possible that both things could be true – there could be a massive disk and a 9th planet. With the discovery of each new TNO, we gather more evidence that might help explain their behavior. Bottom line: New work suggests the combined gravitational force of many small, distant objects in the outer solar system – not a large, single Planet 9 – may have created the weird orbits of some outer solar system bodies. In other words, there may be no reason for a Planet 9 to exist.